Royal Enfield launched the all-new 650 twins last year in the Indian market. 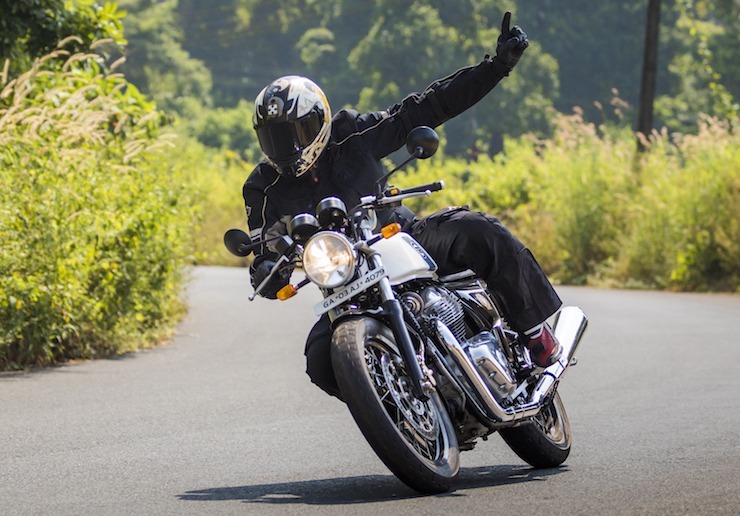 Both the new bikes – Interceptor and Continental GT 650 have become extremely popular in the Indian market and last month, Royal Enfield dispatched 1,445 units of Interceptor and Continental GT 650 in the Indian market, which is highest ever. Royal Enfield only reveals the cumulative numbers of the 650 Twins. In comparison, KTM dispatched 289 units of the 390 Duke and RC 390 while TVS sold 246 units of their flagship bike – Apache RR310. Bajaj dispatched 329 units of the Dominar 400. The parallel-twin cylinder powered Yamaha R3 sold only 20 units and the Kawasaki Ninja 300’s 135 units got dispatched last month. The Royal Enfield 650 twins have become the best-selling twin-cylinder motorcycles in the market now. What are the driving forces behind the sales of the new Royal Enfield 650 Twins? Let’s find out. 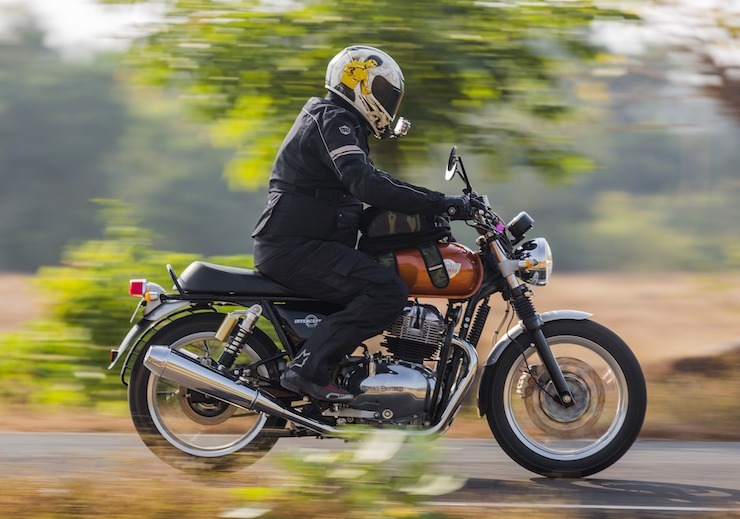 Royal Enfield was expected to price the Interceptor 650 and Continental GT 650 attractively but the brand shocked everyone by making them the most affordable twin-cylinder bikes in the market. The Interceptor is priced at Rs. 2.34 lakh while the Continental GT 650 is priced at Rs. 2.57 lakh. The Kawasaki Ninja 300 is priced at Rs. 2.98 lakh while the Yamaha YZF-R3 is priced at Rs. 3.5 lakh. In fact, the Royal Enfield Interceptor is even cheaper than the KTM 390 Duke, which carries an ex-showroom price of Rs. 2.45 lakh. Until now, parallel-twin cylinder bikes were offered only by niche manufacturers in the Indian market. All these international manufacturers have dealerships and showrooms that are limited to big cities. But Royal Enfield is an Indian brand with presence all over India including Tier-II cities. This makes the Royal Enfield 650 Twins very accessible to the buyers. Even brands like Kawasaki and KTM are not very well-established when the dealership networks have to be compared. The Royal Enfield Interceptor and Continental GT 650 are not sports bikes. While the Continental GT 650 offers an aggressive riding position, the Interceptor offers high handlebars that offer a very comfortable and relaxing riding position. It can be used for daily commuting too. Apart from that, the bike offers a great comfortable ride because of its smooth engine and vibration-free riding experience. This is something that attracts a lot of buyers who look for a powerful daily commuting bike. Both the new 650 Twins have a long waiting period on them. Depending on the colour of the bike, the booking period can range from two months to six months. This makes the Royal Enfield assembly work at full force and dispatching all they can for the Indian market. Both the bikes are built in India and are exported to the markets around the world like Australia, USA and Europe. Royal Enfield has always been a cult brand and most owners stick the same brand throughout their lives. With the 650 Twins, Royal Enfield has given the perfect opportunity to the existing Royal Enfield owners to upgrade to the new bikes. In fact, their affordable price tag makes them appealing to most of the customers out for motorcycle shopping. While power-hungry customers may go for the KTM 390 Duke in the market but the new Royal Enfield 650 Twins offer more power on the paper. They are powered by a 649cc, air-cooled engine that generates a maximum of 47 Bhp and 52 Nm. It is much higher than the Kawasaki Ninja 300 that generates 40 Bhp – 28 Nm and KTM 390 Duke that generates 43 Bhp – 37 Nm. The all-new 650 Twins have broken all the stereotypes connected to Royal Enfield motorcycles. Both the bikes are much more reliable, smooth and offer immaculate quality. This also attracts a lot of Royal Enfield enthusiasts who stayed from the ownership of the bikes because of their generic problems.